Have you ever said to yourself "Why didn't I think of that?" as a smile slowly spreads across your face? 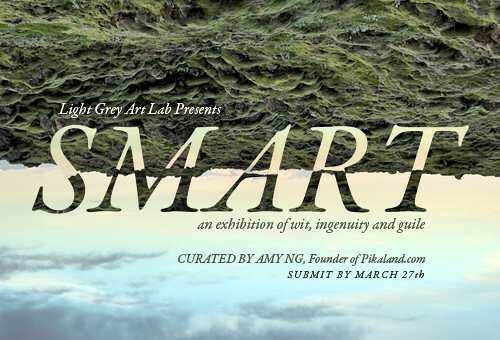 That was the inspiration behind our newest exhibition, SMART, which opens Friday, May 17th! Curated by Amy Ng, founder of the delightful and charming Pikaland, SMART is a collection of clever artwork that showcases quick wit, a subtle sense of humor, and a thoughtful approach to imagery from 35 artists. You can see a full list of participating artists here! As an added bonus, we're featuring a special collection from one of our favorite artists Brock Davis! Brock is a prolific and imaginative artist, you can see his incredible work on his site, but make sure you clear you schedule before clicking that link because you'll be there all day. RSVP via the SMART Facebook event page! Remember, the Opening Reception is Friday, May 27th from 7- 10 PM! We're located on the corner of Stevens Ave and 26th Street - right across from the Minneapolis College of Art & Design. Street parking is available on Stevens, 26th and 1st Ave.